Full day Sight seeing tour to Shankar, Shanty Stupa and phyang. Evening return back to hotel for Meals and over night stay. 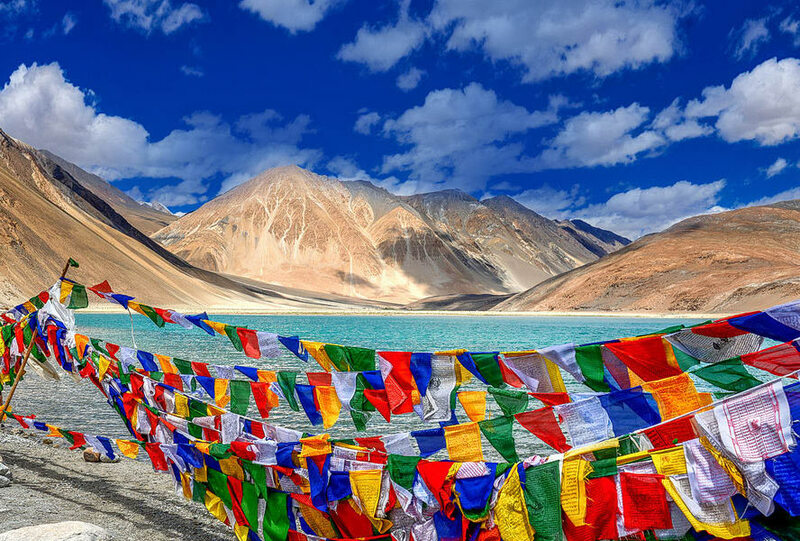 Tour to Nubra Valley ‘’Green valley’’2700 – 3000 Mts 125 kms ,Leave early morning for Nubra valley via Khardungla 5580 Mts ‘’The highest Motorable Pass’’ in the world .Arrive Disket and Check in Guest House /Tented Accommodation .PM To explore the surroundings /adjoining areas by Foot, Overnight stay at Disket in Guest House /Tented Accommodation. Full day sightseeing Tour to Panamike ‘’Hot Water Spring’’35 kms one base camp for saichen Glacier way, Evening Return back to Sumur for Meals and overnight stay. Drive to Leh via Disket and Hunder Gompa in Leh, Meals and overnight stay in Hotel. Drive to Tsomoriri, 7 Hrs drive 220 kms, 4100 Mts via Mahi Bridge (From here route to Mt Kailash which is in Tibet).Arrive Tsomoriri and explore the surrounding areas .Over night in Tented Accommodation. In Tsomoriri ,Explore the surroundings , Tsomoriri is a huge Mountain lake 28 Kms long in the Rushpu valley, Home of Nomadic live in Yak Tents. The home of Snow leopard Wild Asses and Blue sheep, plenty of wild flowers to be seen .Tsomoriri to visit Karzok Gompa and village Over night in Tented Accommodation. Tsomoriri – Leh via Tsokar /Tanglang la, 5300 Mts, Leave early morning enroute you can see the Hot Sulphur Springs, Chimathang and Puga, on Arrival check in hotel at Leh, Meals and overnight at hotel. 02 Night Dlx. Camp / Guest House at Nubra.